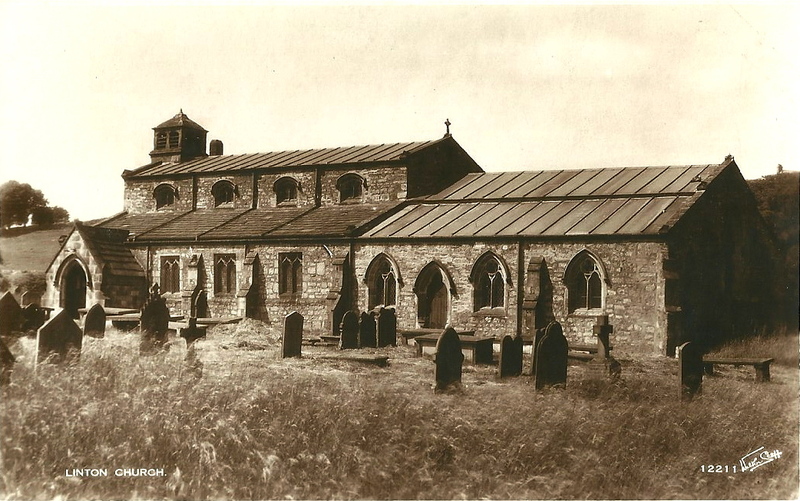 This is a postcard of St Michael and All Angels Church at Linton in the Yorkshire Dales. 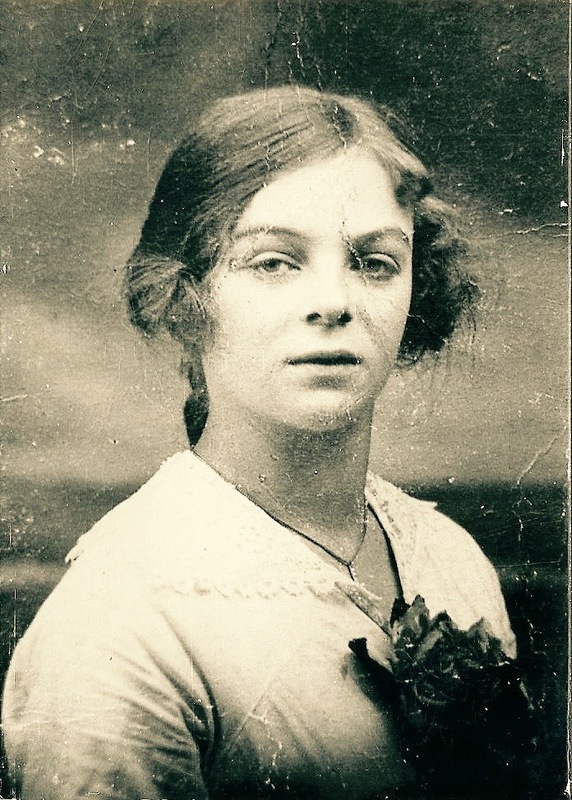 It is a real photograph published by Walter Scott, Bradford. The postcard is unused and is in very good condition. The church must be one of the most individual of all Dales’ churches. It dates from the 12th century, during the period of church building that characterised Henry II’s reign (1154-1189), and is very squat without a tower. The church was extensively altered in the 14th century, but it still retains parts of the earlier church. 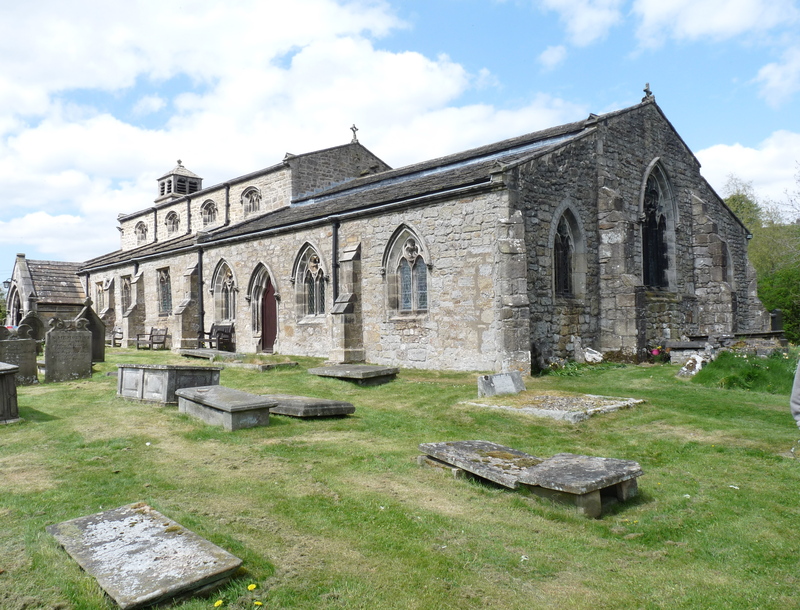 The church is located quite a distance from the village and occupies a wonderful position on a bend of the River Wharfe. The graveyard stretches right to the banks of the river. According to the church guide it stands on an old pagan site, but in the 7th century it was Christianised by either St Wilfred or St Paulinus. There is good evidence for this because, in the field opposite, there is what could be part of a pagan stone circle. It is estimated that over 10,000 people have been buried in the churchyard, over the centuries, going back to pre-Christian time. I managed to find the graves and headstones of two of my ancestors. It is also said that the church is haunted by a monk who had lived at a nearby abbey. Here’s the photograph we took on our recent visit.